It’s time for a mini celebration as we’ve been shortlisted for the 2016 Pure Beauty Awards. 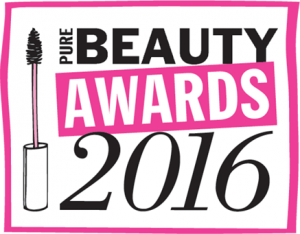 Our awards entry will be published in this month’s Pure Beauty alongside the other shortlisted products from the same category. Pure Beauty’s readers will vote for their favourites and the 2016 champions will be revealed at our ‘La Boheme-themed’ awards ceremony on 27 October at the Savoy Hotel in London. We will be in touch to let you know what’s next in the awards process and we’ll be sending you tips on how to promote your entries to voters.